Shoji is a tiger of many interests ranging from carnivorous plants to electronics to playing the clarinet in his school’s orchestra. He grew up in a suburb of Los Angeles and is currently a college student in Western Michigan who is aiming to major in evolutionary biology. Shoji’s largest background is in the orchid growing community; he became a member of an orchid society in Burbank, California at age 10 and participated actively well into his teen years. He was responsible for sectional judging at the Southland Orchid Show in 2010, 2011, 2012 and 2014 and served as a clerk for the San Marino Judging Center of the American Orchid Society for three years. This fascination with orchids has given him a deep love for nature, and he attributes his early interests in horticulture to his desire to study evolution and his discovery of his furry identity. Shoji played the guitar through middle school and began to develop a deeper love for music during his high school years. In three years, he learned how to play the clarinet to a proficient level and also branched out his repertoire to include playing the flute, piccolo, oboe and shakuhachi (a kind of Japanese flute). He also found a fascination with history during his high school years, and he often incorporates his knowledge of world history into his writing. Shoji enjoyed reading in his free time then as well, reading through the works of Orwell, Voltaire, Dante, Dostroyevsky and others. He also has an interest in world cultures and languages, and he often takes pleasure in cooking and sampling different cuisine. 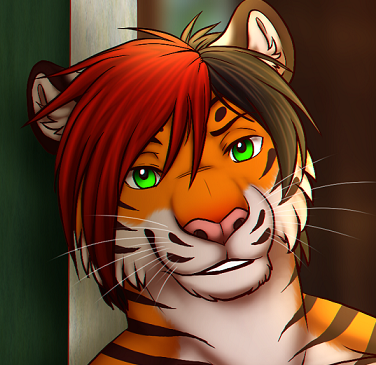 Shoji first became involved in the furry fandom online in 2011 and occasionally posted short stories online. He first encountered furry literature after meeting his mate in 2013, and he’s grown to love furry fiction through the works of Kyell Gold, Rukis, Kevin Frane, Fuzzwolf and countless authors online. Shoji’s work was featured in the 2015 nonfiction anthology Furries Among Us, describing his experiences and views in the fandom. He also contributed to two issues of the anthology Wolf Warriors; a charity anthology to benefit the conservation of wolves in North America.